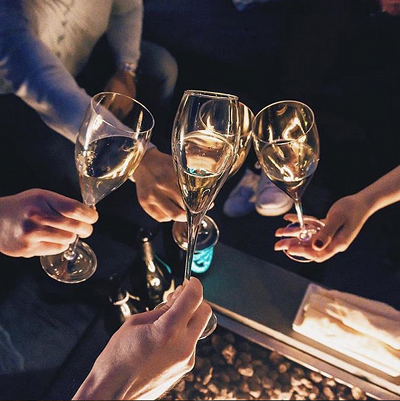 Get ready for this weekend’s much-anticipated foodie event, the James Beard Foundation’s annual Chefs & Champagne tasting. 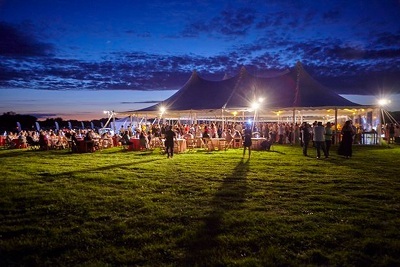 The delicious event is held in support of the James Beard Foundation’s programs which celebrate, nurture and honor America’s diverse culinary heritage. 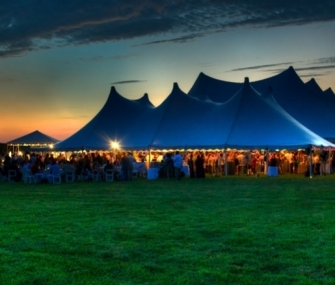 On Saturday July 28, 36 chefs – many of them James Beard Award winners — from restaurants in New York, Florida, Missouri, California, Oregon, Colorado, and Washington DC will dish up their best under the beautiful tent at Wölffer Estate Vineyard. The 2018 Guest of Honor is Padma Lakshmi, host of Bravo’s James Beard Award-winning Top Chef. The menu features craveworthy, seasonal dishes like Stephen Bogardsus’s corn soup with truffles (The North Fork Table & Inn, Southold); Georgette Farkas’s tarte pissaladière (Rotisserie Georgette, New York); Mina Newman’s Nikkei ceviche with sockeye salmon (Sen Sakana, New York City); and Nick Stefanelli’s burrata with beluga caviar (Masseria, Washington, DC) that show why summer is the best culinary season. All is to be washed down by constantly flowing Champagne Boizel, Tito’s vodka and a variety of Wölffer Estate wines. The evening begins at 5pm with a VIP reception. The main event, from 6-8:30pm, is followed by an after-party for VIP guests until 10pm. All guests receive a goodie-filled swag bag and can also take part in an extravagant silent auction with the chance to win a vacation getaway, a delicious dining experience, a watch, cookware and more. Bidding is open online through July 25 and will continue as a silent auction throughout the evening of the event. Take a look here. This entry was posted on Tuesday, July 24th, 2018 at 9:27 am	and is filed under Stuff to Do. You can follow any responses to this entry through the RSS 2.0 feed. You can leave a response, or trackback from your own site.